Thanks for looking at this vehicle! Earnhardt is a name if you can trust since 1951. So you can trust this vehicle has been inspected and reconditioned - and is ready for you to take home - And, that aint no bull! 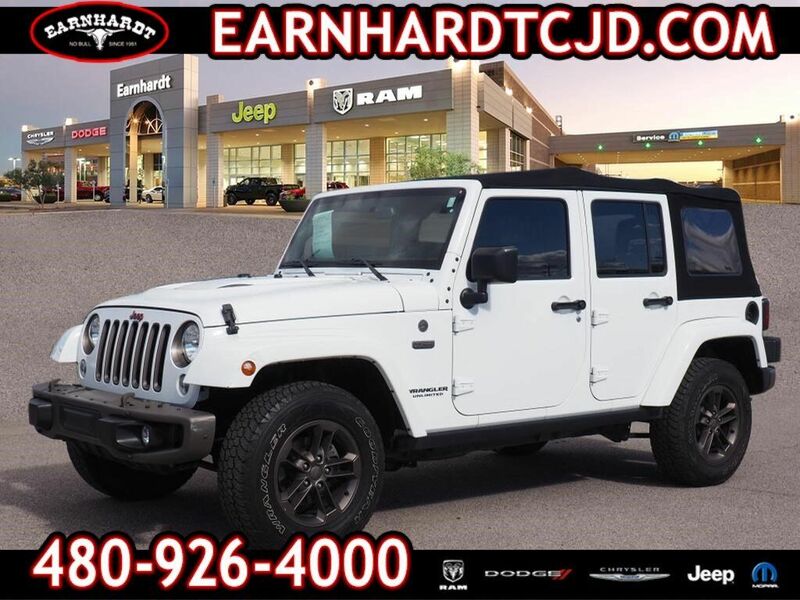 This Bright White Clearcoat 2016 Jeep Wrangler Unlimited 75th Anniversary might be just the SUV 4X4 for you. It comes with a 6 Cylinder engine. This one's a deal at $32,977. It also includes 24-Hour Towing/Roadside Assistance, Car Rental Allowance, and CARFAX Vehicle History Report. This vehicle also comes with 100,000 warranty miles, and 7 warranty years and has been subjected to a rigorous, 125 -point inspection for condition and appearance. Rocking a stunning bright white clearco exterior and a black interior, this car is a great pick. Music-lovers won't want to get off the road with great audio features CD player. You'll never have to set your groceries down to open your vehicle doors with the hands-free keyless entry! Interested? Call today to take this vehicle for a spin! No Bull is more than a slogan - Its a way of life. Its a way of doing business. And it means - price wont get in the way of having happy customers. Please make us an offer today!